What do crème brûlée, toffee, and butterscotch have in common? Caramelized sugar, or as most of us know it, caramel. The flavor secret behind many classic desserts, this delicious ingredient can be tricky to make, and for some cooks, the process seems confusing and difficult. Here, we’ll demystify the science of caramelizing sugar-from how it’s done to what can go wrong when making it-so you can confidently create caramel confections at home. 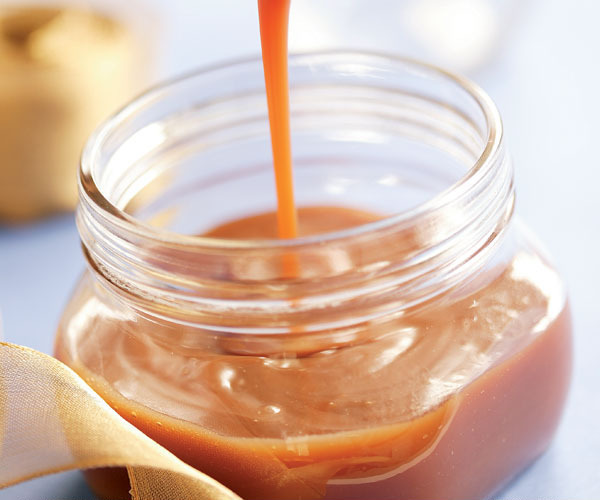 Caramel is simply sugar that has been cooked until it browns. Granulated sugar, or sucrose, has no smell and a simple taste-sweet-but when heated, it melts and darkens, developing complex aromas and flavors that taste decreasingly sweet and increasingly toasty. Heat causes sucrose to break down into its component sugars, glucose and fructose. Eventually, these molecules break down into other molecules that react with one another to create hundreds of new compounds, such as bitter-tasting phenols, fruity-smelling esters, and others that taste buttery, sour, nutty, and malty. 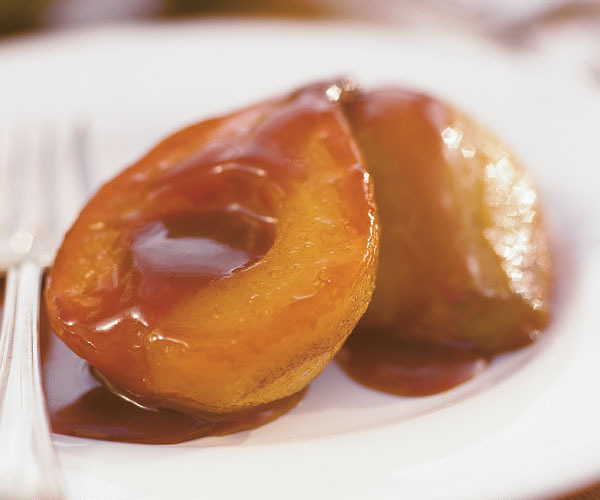 These are the delicious flavors and aromas of caramelized sugar. The caramelization process begins around 320°F, when crystalline sugar melts into clear molten sugar. At 340-350°F, the color changes to light straw or pale caramel brown. 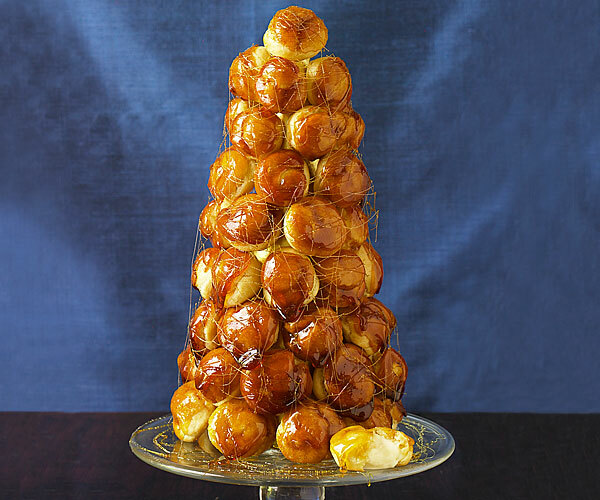 Taken to this temperature, caramel can be dripped from a spoon in thin strands and will become hard and glasslike when cooled, so you can make spun-caramel cages for desserts such as croquembouche. At 355-360°F, the caramel color progresses to medium brown and, when cooled, will still be hard but not quite as shatteringly brittle. When heated to 365-380°F, the caramel appears very dark brown and will cool to a softer, stickier texture. At this temperature, cream, butter, and vanilla are often stirred into the translucent caramel to stop the browning and create opaque-looking caramel sauces and caramel candies. At the upper end of this temperature range, the caramel continues to darken quickly until it reaches about 410°F. At that point, it’s known as black caramel or baker’s caramel, a less sweet and more bitter-tasting browning agent used to color everything from gravy to pumpernickel bread to soft drinks, like cola. There are two classic methods for making caramel: dry and wet. The dry method involves simply heating sugar in a dry pan until it liquefies and browns. This requires careful attention, as the sugar tends to darken quickly and less evenly due to hot spots in the pan or the heat source. It helps to use a pan with a wide surface area for this method so the sugar is in a thin layer that heats and browns more evenly. The wet method of making caramel calls for moistening the sugar in the pan with a little water. The water dissolves and distributes the sugar to promote even browning. Because the water boils off as the sugar caramelizes, the wet method also prolongs the total time that the sugar is heated, allowing more complex flavors to develop. And since the sugar browns more slowly, it’s easier to create a light or medium caramel instead of a dark brown one. What can go wrong when making caramel? Wash the sides of the pan with a damp pastry brush halfway through the caramelization process, dissolving any sugar crystals on the walls. Oil the sides of the pan before you start, which will prevent sugar from sticking in the first place. If you spot any grains of sugar on the side of the pot, cover the pot with a lid for a minute to cause steam to collect and dissolve any crystals that may have formed. Add another ingredient to the sugar and water in the pan. Crystallization is most likely to occur in a pure solution. By adding a bit of corn syrup, which is mostly glucose, you undermine the possibility of a stray seed crystal triggering a chain reaction. A few drops of acid (lemon juice, vinegar, or cream of tartar) do the same thing by breaking some of the sucrose into its fructose and glucose components. Don’t stir until the syrup starts to color, indicating that most of the water has boiled off. Before then, it may still contain undissolved sugar crystals, which can precipitate the crystallization chain reaction throughout the caramel when they’re moved. Some recipes advise swirling rather than stirring, but it’s really best to leave the mixture alone until you see some amber streaks in the caramel, and even then to stir only when you see that parts are getting too dark. Have ready a bowl of cold water to control the temperature. When the desired color is reached, submerge the bottom of the pan to quickly cool the caramel. Choose the right pot. Dark-colored pots, like cast iron or anodized aluminum, can mask the color of the caramel as it darkens, so you’re better o using stainless steel or stainless lined copper cookware. (Don’t use tin-lined copper because tin melts at caramelizing temperatures.) If you must use a dark pot, you can pool the caramelizing sugar on a stainless steel or other shiny spoon to help you see its color. Also, a deep skillet or wide saucepan works better than a tall, narrow pot, which limits the surface area and inhibits evaporation, thus slowing down the process. Hot caramel is a liquid on the verge of becoming a solid. If it should come in contact with your skin, it will burn savagely. Three things make it dangerous: First, liquids conduct heat much more thoroughly than either gases or solids. Second, boiling caramel is significantly hotter than boiling water. And third, unlike water, caramel doesn’t quickly flow off your skin-it turns solid and sticks. With this in mind, be very careful when stirring caramel to avoid splashing. You’ll also want to stand back a little when you add liquids to it, as it will bubble vigorously. Finally, as delicious as caramel is, don’t be tempted to taste it until it cools. The temperatures listed in this article must be wrong. The caramels will surely burn at temps much above 300 F. Even your recipe for soft caramels does not go above 305 F.
Are the higher tamps a typo?